Combating climate change is perhaps the most formidable public policy challenge of our times. Unmitigated climate change will be irreversible. It will place significant costs on future generations, and expose them to unexplored risks. To mitigate climate change, global coordination is indispensable. European Union citizens consider climate change a central problem. The EU and its member states have therefore put in place signficant and costly climate mitigation policies. Without an ambitious deal at the United Nations climate summit in Paris in late 2015, much of EU climate policy will be futile. Climate finance is the most important tool the EU has to make a deal likely. A strong and unified EU position backed by common resources would increase the EU’s ability to shape the emerging international climate institutions and their governance, to ensure that climate finance is used to reduce mitigation costs and to ensure that European industry benefits from the opportunities related to climate finance. A redirection of domestic mitigation costs to climate finance and the crowding-in of private money would reduce the burden on taxpayers. Dedicated resources, collected through a revamped emissions trading system and a carbon tax on transport and heating fuels, would increase the predictability and credibility of EU climate finance. 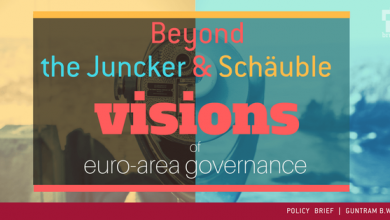 This Policy Brief was first published by Bruegel and can be downloaded here (pdf). An extended version of this paper was presented at the ECOFIN meeting in Luxembourg on 11 September 2015 (here).